When Sophia and Ava London moved to Los Angeles to further their makeup and fashion line, London Calling, they expected to meet super stars, not become them. However, when their little business becomes a big deal with the help of an ever growing internet fan base, the sisters enter into the exclusive life of fabulous parties, air kisses, and scores of hot guys. Faster than you can say "Now get out Mac brush No. 13 and blend," they have tie in deals with international jewellery companies, major clothing retailers, and - one of their biggest dreams - an offer from Lux Life makeup for their own London Calling line. But fame has a price, and when the sisters are betrayed by someone they trust, they find themselves knee-deep in a scandal that could ruin everything they've worked for - and send all their dreams crashing down. 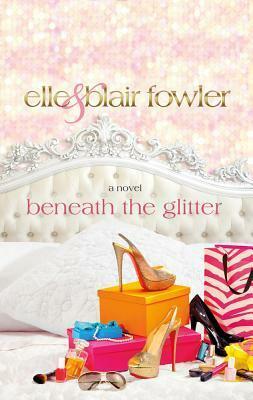 This deliciously glitzy romp through star-studded L.A. is loosely based on the authors' own experiences. Elle and Blair Fowler began posting make-up tutorials on YouTube and quickly became an internet sensation. Their videos have garnered a combined total of 148 million hits; they were nominated for a Teen Choice Award for Best Web Star; and they currently have their own make-up line and reality show in development. Elle and Blair have a revenous online fan base that will love a sneak peek into their glamorous world! ELLE and BLAIR FOWLER began filming makeup and fashion tutorials for YouTube in the summer of 2008. Their videos quickly garnered millions of views and national media attention. They live in Los Angeles and are currently launching a makeup line scheduled to release in Fall 2012.